Earlier this week, Patrick Mahomes took to the hardcourt for a pickup basketball game. And while he impressed damn near everyone with his ridiculous handles, he scared the heck out of the Chiefs’ front office, causing them to put an end to his basketball-playing days. So how’s Mahomes occupying himself now that he can’t shoot hoops with the boys anymore? According to the Pro Bowl quarterback’s Instagram Story, he’s still playing basketball…just the NBA 2k version. Oh, and in case you’re wondering which team Mahomes prefers to play with, that would be the Andy Reid-led Brooklyn Nets . Seriously. Patrick Mahomes created a player that’s a tribute to his head coach–although I kind of feel like the “defensive stopper” role is his way of trolling his offensive-minded head coach. 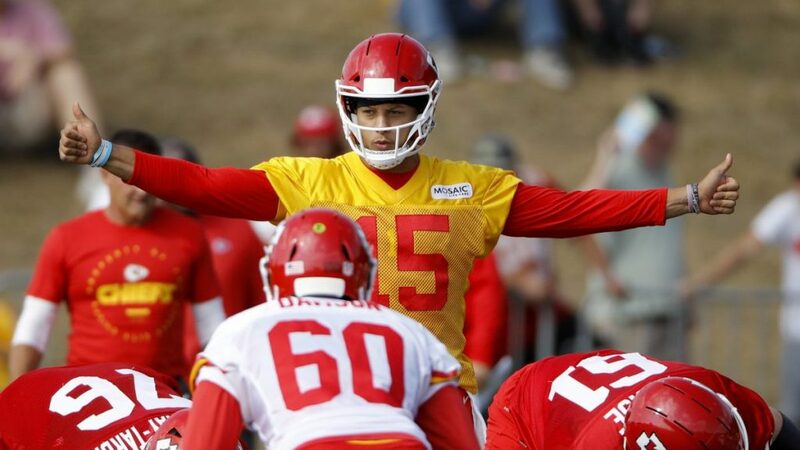 That “Only hooping I’m doing these days” comment is obviously a swipe at his team’s front office, but I’m sure the Chiefs don’t mind, as long as it keeps their quarterback healthy.